The collaboration seems fitting. For several years, BLT has hosted an array of social, recreational and leisure activities at Harbor Point, and with Stamford just an hour from New York City, BLT focuses on creating an active urban lifestyle that reflects what Millennials and empty nesters might find in NYC. Working with Biederman, BLT will further enhance event programming through outdoor activities that invite residents and visitors to join in, and plan streetscape improvements that tie the neighborhood together, specifically Commons Park, Harbor Point Square and the Harbor Point Boardwalk. The firm promises to invigorate these parks and public spaces with gatherings and programs that bring tenants and residents together. For example, BLT held its annual Summer Kickoff events over Memorial Day weekend, coinciding perfectly with its unveiling of the Biederman partnership. Events included the Boys and Girls Club Corporate 5K Race and after-party on the Harbor Point Waterfront. Last week saw the inception of a Weekly Movies in the Park series, outdoor yoga and fitness classes, live music and a range of additional activities. Committed to fostering innovation and exhibiting forward-looking behavior, BLT is also repositioning a 500k SF vacant office building in Harbor Point as tech-oriented, modern office space. 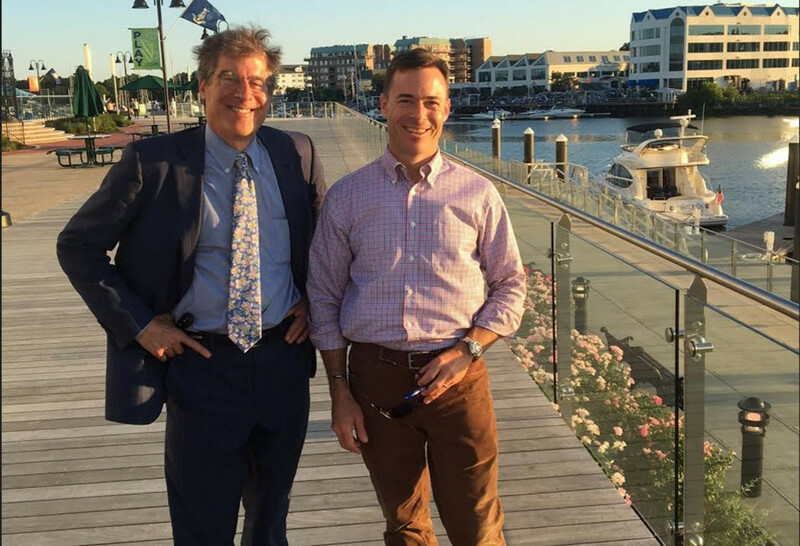 Dan Biederman (shown with Harbor Point Development COO Ted Ferrarone) believes the concept of neighborhood transcends the physical structures it is created around, and the establishment of a Harbor Point community will positively reverberate through all of Stamford. He says the need for enticing urban spaces is not limited firms to the largest cities. “We adopted the vision of the city and community of a transformative, mixed-use waterfront development providing active public spaces, and complementing other neighborhoods of the city,” says BLT CEO Carl Kuehner III. He hopes the overall mix of Stamford office, residential and retail framed by the scenic waterfront will attract a diverse group of prospective tenants, residents and visitors, truly transforming the area. BLT’s efforts to create an active neighborhood at Harbor Point have attracted international attention. A delegation from the Urban Development Institute of Australia, a not-for-profit organization representing Australia’s real estate development industry, visited Harbor Point recently and applauded BLT’s place-making efforts. The development of Harbor Point certainly serves as a valuable case study for urban renewal and high-density living in combination with public transit connectivity—and human scale sensibility,” Finn says.